You can find much information about trees and arboriculture. If you are a tree enthusiast or are involved in tree care either personally or professionally, you can become a member of the Association. The Askham Bryan College website advancing the science of arboriculture for the public benefit. The Harrogate Council's Arboricultural team are responsible for managing trees on their land within a 500 square mile district boundary. Trees and hedges are a key element of our countryside, but they also have a major part to play in urban areas in England. Harlow Carr Botanical Gardens, Crag Lane, Harrogate. Northern Horticultural Society. Many rare young trees to see here. 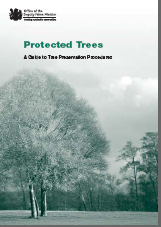 BS 3998:2010 gives general recommendations for tree work, and guidance for owners of established trees, agents of the owners, and those responsible for planning, specifying and undertaking work on maturing trees. Covers Tree surgery, Landscaping, Arboriculture, Forestry, Silviculture, Trees (plants), Urban and rural works, Pruning, Safety measures, Machine tools, Sterilization (hygiene), Bracings, Guying, Occupational safety, Agricultural safety, Protective clothing, Fire safety, Agricultural chemicals, Fertilizers, Soil improvement.